An undated engraving of Child, by Gustav Kruell. Note the rose at the upper right. The provenance of this portrait is unknown, but roses figure in a number of the Child ballads, and Child had a rose garden of his own. Francis James Child, A.B. 1846, was a model of nineteenth-century academic achievement. Named Harvard’s Boylston professor of rhetoric and oratory at 26, he was one of his century’s leading Chaucer scholars and received honorary degrees from his alma mater, Columbia, and Göttingen. His close friends included Oliver Wendell Holmes, Henry and William James, and Charles Eliot Norton. Yet today he is better remembered than many distinguished colleagues because, at the height of his career, he decided to apply a gift for scholarship honed on the study of traditional literature to the oral traditions of the folk ballad. That a sailmaker’s son achieved eminence of any sort was largely because the Boston of his youth was progressive enough to offer free public educationat least for white boysand small enough to spot and foster talent. His record at Boston Grammar and Boston English came to the attention of Epes Sargent Dixwell, A.B. 1827, headmaster of Boston Latin, who facilitated his admission to that school and then to Harvard College. Child graduated first in his class and became a College tutor in mathematics and then in history, political economy, and English. When a benefactor lent him funds for a trip to Europe, he took a leave of absence from 1849 to 1851 to study in Berlin and Göttingen, an extraordinary opportunity given his youth and background. On his return, he became Boylston professor, a post he held for a quarter-century before becoming Harvard’s first professor of English, in 1876. He served as general editor of the British Poets, a popular series that ran to 150 volumes. He issued a five-volume edition of Spenser’s poems and the influential Observations on the Language of Chaucer. And he introduced generations of undergraduates to these poets, to Shakespeare, and to the Romantics. He combined scholarship with a gift for friendship. He corresponded for three decades with James Russell Lowell“Jamie,” even when Lowell was ambassador to Great Britainand for near-ly two decades with Miss Emily Tuckerman of Stockbridge, Mas-sa-chusetts, in each case combining his love of literature with a sense of humor and humility not always associated with his fellow academics. Time remained for his rose garden, his family, and more worldly demands. Though ill-suited by nature to the rough and tumble of politics, he canceled classes to canvass for Lincoln during the Civil War and joined in local political battles on behalf of his adopted Brahmin class with enthusiasm, if not success. But increasingly his life was dominated by one great and abiding passionthe preservation of a ballad tradition that was dying even as Child struggled to record it. 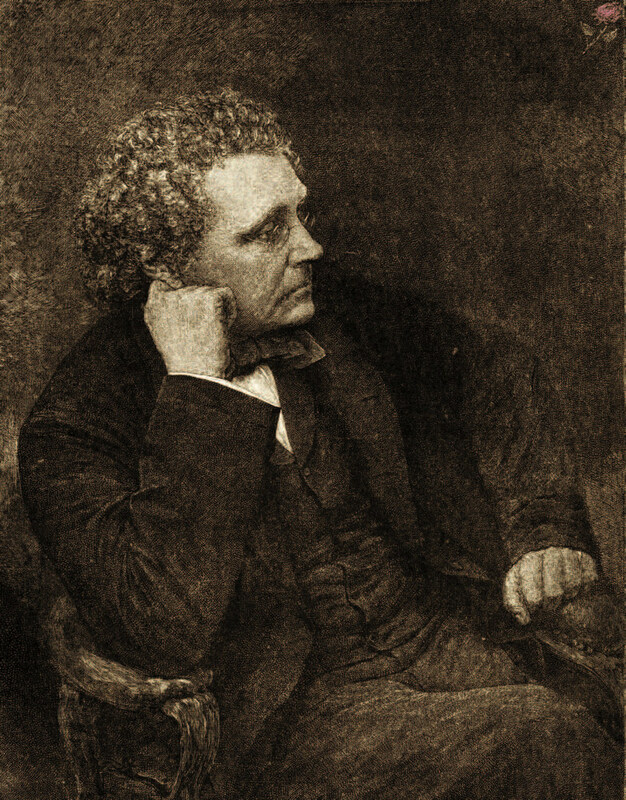 His first collection of ballads appeared in eight small volumes (1857-58) in the British Poets series, but he had something far more ambitious in mind: the comprehensive recordation of all known English and Scottish ballads and their American and Canadian variants. That demanded patience in tracking manuscripts across continents, judgment in interpreting and clarifying textual discrepancies, and persistence in dealing with collectors ranging from the high-born Lord Rosebery to the eccentric Devon clergyman Sabine Baring-Gould. Our own period doesn’t readily lend itself to an undertaking such as Child’s, but the timing was right for him, as for other Victorian obsessives. He could attack a subject thatinstead of being studied half to deathwas in danger of disappearing entirely, with a level of knowledge and self-confidence that eludes our more specialized age. For half a century, scholars and musicologists embraced his collection, but added little to it. Then, in the 1950s, the ballads were taken up as part of the folk-music revival, so that Time magazine, writing about Joan Baez in 1962, would note, “Folkupmanship absolutely requires that a ballad be referred to as Child 12, Child 200, or Child 209….” In succeeding decades, new interpretations have appeared regularly, remarkably fresh and original given the ancient sources of the lyrics. Child passed on to subsequent generations of audiences and performers a legacy of scholarship that they have been able to enjoy on their own terms and express in their own fashion. In doing so, he preserved the continuing vitality of the ballad tradition that he loved so much. John Burgess, J.D. ’76, is a senior partner in the Boston office of Wilmer Cutler Pickering Hale and Dorr, where he practices corporate and international law.